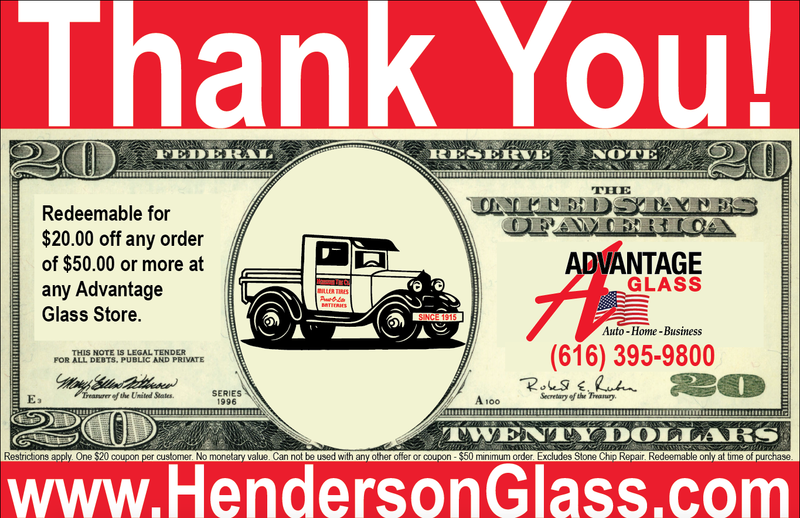 We believe that true satisfied customers are earned one at a time. That’s why all of our technicians are highly trained and adhere to the most advanced methods as presented by the Auto Glass Replacement Safety Standards Council. Auto Glass Service – Don’t allow cracks to stay untreated in your vehicle’s glass. Our auto glass service includes windshield replacement and windshield repair. Commercial Glass Repair and Installation – Your exterior window display or store front door makes an important visual impact on your customers. Allow us to repair or install your new displays to present an appealing presentation to potential customers. RV, Motor Home and Bus Glass Services – Our experienced team of glass installers performs on-site installation for all shapes and sizes of windows for a variety of vehicle types. See our sections on Insurance Claims, Auto Glass Safety, Special Offers and our Photo Gallery. 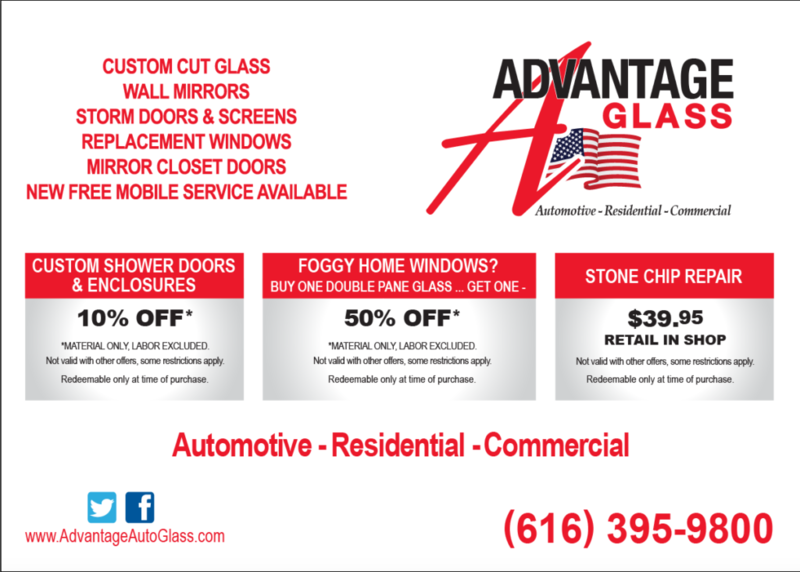 Contact Advantage Glass For more information about our glass products and repair services call us today at 616-395-9800. Click below to claim this coupon!